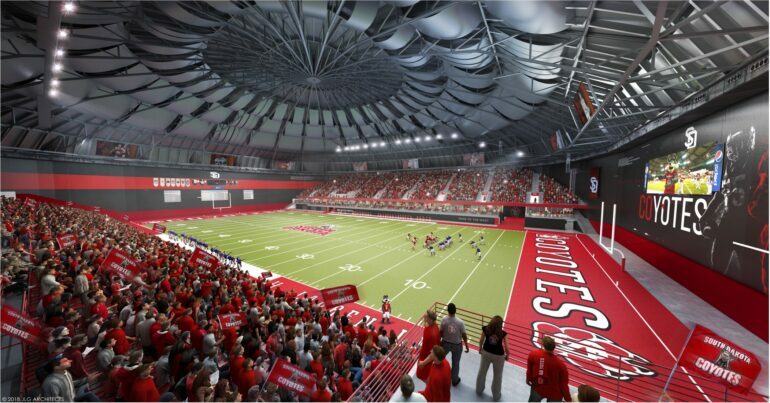 USD athletics has released more details on DakotaDome renovations, scheduled to begin mid-February. Josh Sorbe, Student Government Association President, said the average student won’t be affected by the construction. “It’ll just be another construction zone for the most part. 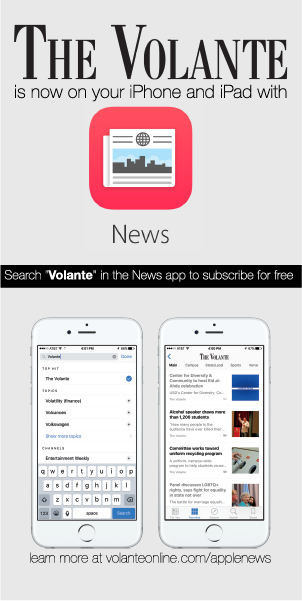 It shouldn’t impact the average student very much,” Sorbe said. 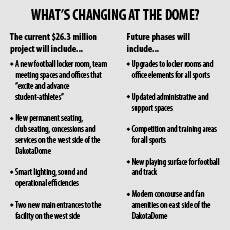 The DakotaDome will be under construction through the 2019 football season, leaving the current student section unavailable. Last semester The Volante reported 5,278 total seats will be available for the six home football games during the 2019 season, almost half of the 10,000 seats available for games this year. To find solutions for the seating shortage, a 2019 Football Season Student Advisory Group was formed of a group of students from different organizations on campus. The group is led by David Williams, Deputy AD, David Herbster, Athletics Director and Josh Sorbe. In previous meetings, the advisory group concluded that 718-740 of the 5,278 seats available will be reserved for the student section. The group is set to meet again next Tuesday. Sorbe said their next steps are discussing how students rotate through those available seats and what viewing options are available for students that won’t be able to attend the DakotaDome on game day. “(We’ll be doing) a lot of programming to make sure the 700 students at the game are not the only students engaging with the game,” he said. While students have raised concerns with large amounts of money going to athletics in the past, Sorbe said only one-third of all athletic funding comes from student fees. Sorbe said that at the end of the day, improvement to any area on campus is an improvement for every student.